Home> Sylvania > What is this? 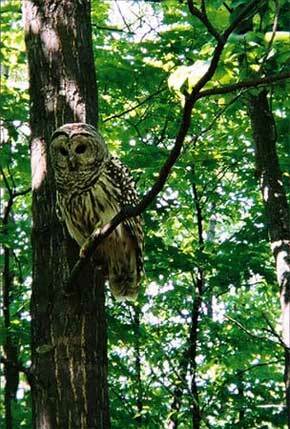 Because owls are most active at night, they have a highly developed hearing system. They are able to locate even faint sounds with remarkable accuracy. The cue used to locate the sound horizontally is the small time difference between the arrival of the sound in the right and left ear. If, for example, the prey is located to the right of the owl, the sound will arrive in the right ear first. Some owls have asymmetrically positioned ears, one ear is positioned higher than the other, which permits them to locate the sound vertically. If, for example, the prey is located below the owl then the sound will be louder in the ear positioned lower on the head.